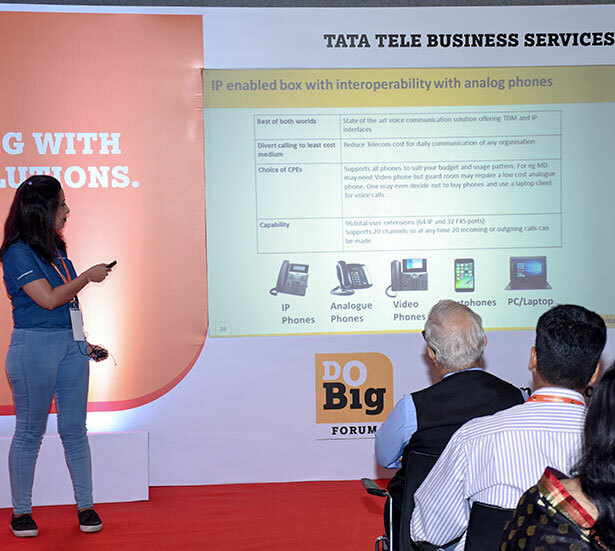 Tata Do Big Forum 2018 - NeoNiche Integrated Solutions Pvt. Ltd.
Delivering a comprehensive communication to end users of latest offering by leading brand in telecommunications. 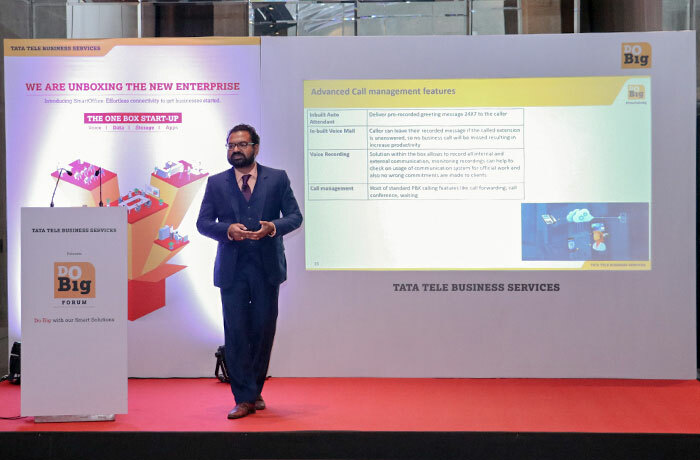 With the successful creation and testing of their latest telecom-based technological initiative – Smart Office, Tata TeleBusiness Services (TTBS) decided to showcase its capabilities and transformational capabilities to micro and small enterprises. 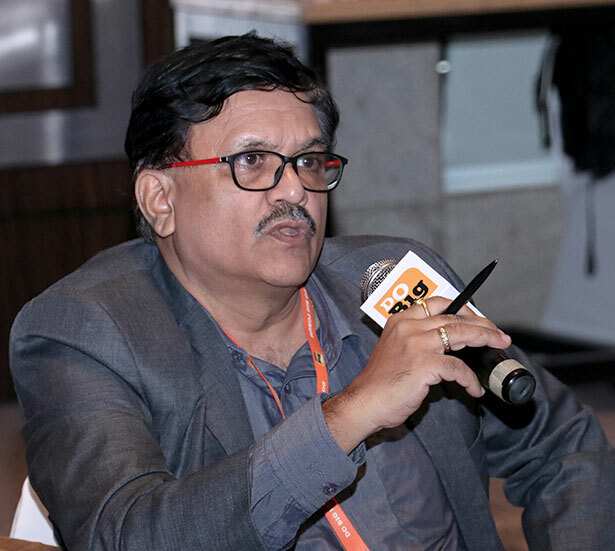 The aim of connecting with new prospects across Mumbai, TTBS decided to host an event centred on the business benefits of organizational access to Voice, Data, Storage and Apps as a single standalone solution. 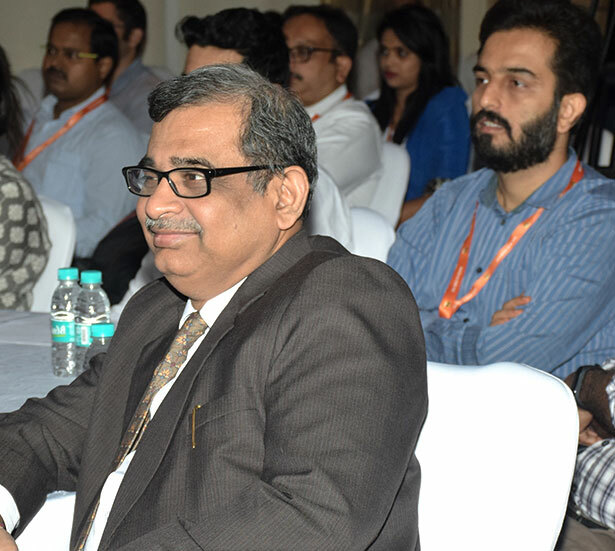 Targeting the IT, BFSI, Logistics and Media sectors as well as small start-ups within Mumbai in a single event was a comprehensive process. To ensure we covered the target demographic extensively, we proposed to segment the city of Mumbai in to three main zones – South Mumbai, Western Suburbs and Thane & Vashi through encompassing management skills. Separate events were managed for all three zones to maximize participation in each area. 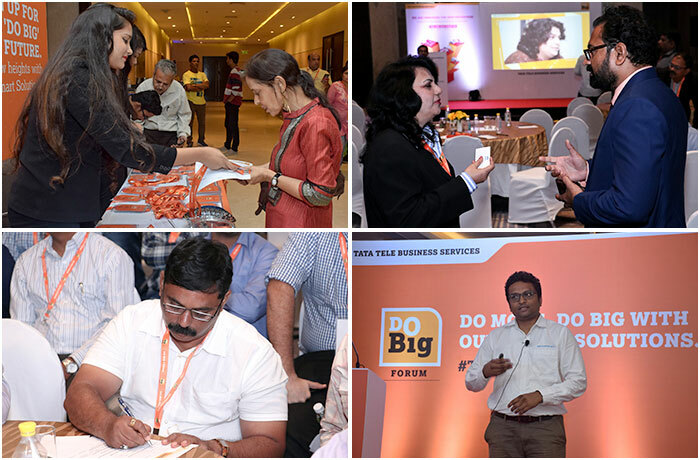 Keeping the theme of ‘Do Big Forum’ in every element from branding to set up and customer experience were curated to emphasize it through creative and sparkling aesthetics appealing to top-level executives. Every step of communication was planned to be in line with our integrated marketing solutions and organized to be big, bold and distinct. 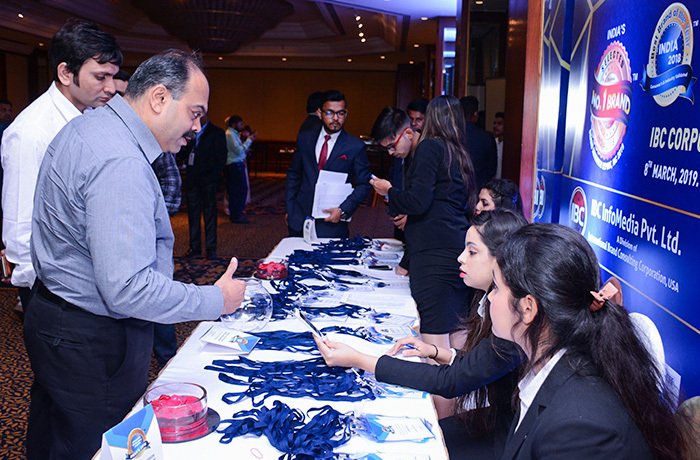 Decision-makers, CXOs and mid-level management were invited for the events on the basis of their location. 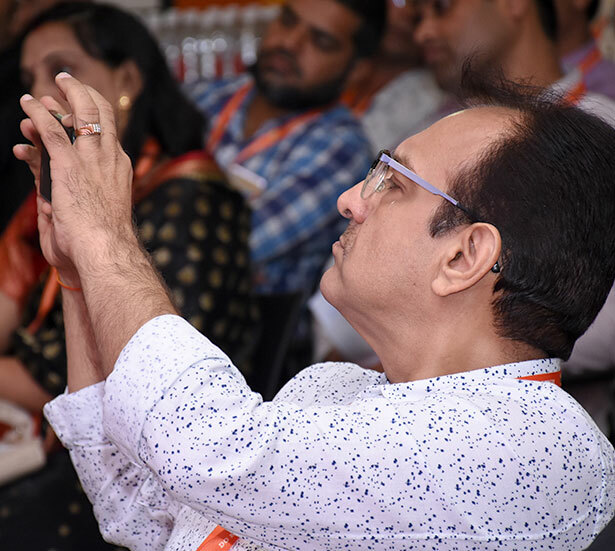 Understanding the time-constraints of this demographic, we made sure the events were carried out in a disciplined manner focusing specifically on informative conversations. 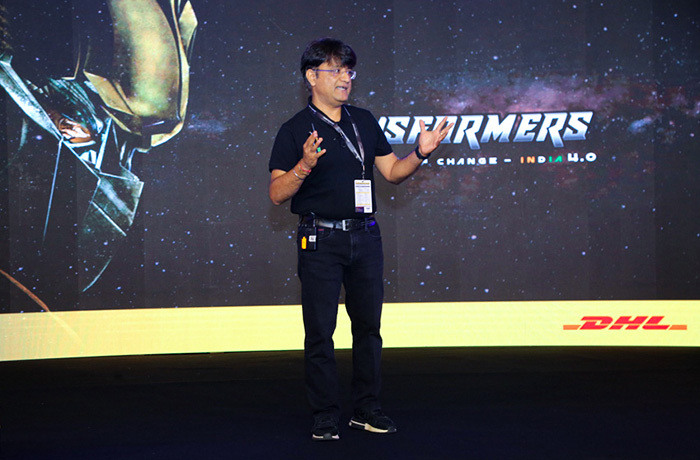 During the main events, we organized live demonstrations of the product to showcase the product’s capabilities and orchestrated client experiences to present use-case scenarios. 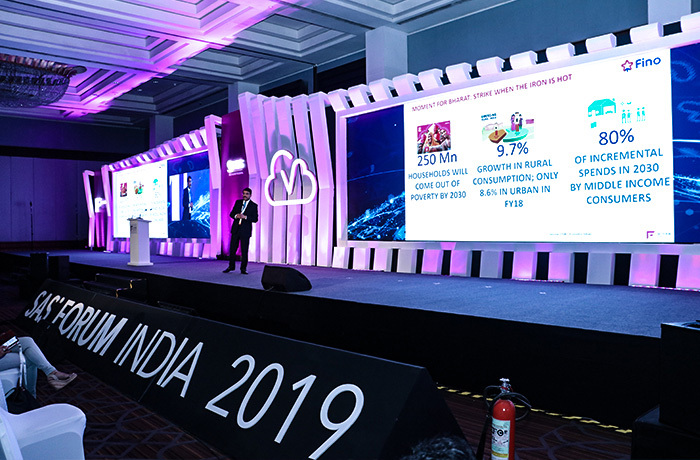 With total of 200+ IT executives attending the events spread across different locations in Mumbai, attendees were pleased by being experientially engaged and the client’s appreciation on delivering a seamless event experience across locations proved our worth. Hey Buddy!, I found this information for you: "Tata Do Big Forum 2018". Here is the website link: https://neoniche.com/tata-do-big-forum-2018/. Thank you.